The first step to passing the guard is having good posture. This may seem obvious, but I’ve seen many decent guard players become lost when passing. Remember: elbows in tight, spine straight, weight over the hips, guys. The style of guard pass explored today is called the “leg drag.” Although this may be slightly confusing because the “drag” in this case is only part of the process, which relies more on posture and pressure to complete the pass. This type of pass is used at the highest levels by athletes such as Ryan Hall, Otavio Souza, The Vieira Brothers and Rafael and Guilherme Mendes. This is not a passing style that I currently use with confidence. I tend to alternate between a knee-slide pass and double/single under control. Since my training partners are getting hip to these tendencies I’m investigating alternate passing styles that hopefully can all tie into each other. To initiate the leg drag you need to see the opponents body as having an axis down the middle, and understand that it’s your goal to force his legs to one side of this axis and keep them there. This can be done in several different ways. In the video tutorial featuring Estonian SBG black-belt Martin Aedma, the use of posture and pressure are emphasized to create angles and pass. Martin starts from butterfly guard, obtaining a very high grip on the pants (near the hip). He uses his knee to reinforce the pressure to create his angle, keeping his hips close. Martin pushes with his whole body pinning the legs, circling his pushing knee inside so his shin is on top of his opponent’s leg. Here he puts his other leg out wide for base. When he’s ready, he uses a high underhook to obtain a grip on the back of the collar and back-steps to side control. This pass requires strong hips and uses the entire body. Many beginners are too focused on what their arms are doing, neglecting their legs and body position. Martin circles one arm to break the spider control (Note: I like to grab the shin instead of the pant leg to prevent the opponent from re-obtaining spider control), then grips the cross leg. By pushing your hips in, it will elevate his leg and hips removing his control and pushing his legs off axis. You can also grip the pants on the same side hip. Push your weight forward with your knee across his bottom leg. If they swing the top leg over, use your head to pin the leg and drop your weight on their legs to pass. Martin also shows a leg drag pass from spider guard with the over-wrap. It’s worth watching if you often encounter this type of guard. Here’s another example of the leg drag style of guard pass being used by a high level jiu jitsu player. Leandro Vieira is the brother of well-known black-belts Leonardo and Ricardo Vieira. Most people are familiar with former Brasa and current CheckMat standout, Leo, but it seems that the whole family has a gift for jiu jitsu, specifically in their approach to passing the guard. This video is from the online show “Rolled Up” produced by Budovideos and staring “Budo Jake.” The entire series is well worth the watch and I will be discussing other episodes in detail in the near future. Leandro controls one ankle, crossing it across his body, while at the same time stepping in to put his knee past the opponent’s knee, into knee on belly. Make sure to step far to his side to hinder his ability to re-guard. This is a variation of a basic toreando (bullfighter) pass. Building on this, when the opponent pulls his knee back to block the pass, Leandro pushes forward with his hips circling his body to smash the knees back together, passing behind the legs. To defend against the far leg being swung over, Leandro changes sides by crossing the leg to his far hip, then pushing forward and dropping his weight to pin the leg, passing behind the legs. I think this is a really nice, simple system for learning this style of passing. There are quite a few options from this pass, the most obvious is the ease of gaining back control. The leg control using “eggbeater” style legwork can be very subtle, so it is work watching high level jiu jitsu players using this pass in training and competition to understand the intricacies. Now that weve all got an understanding of how to drill the leg drag pass, lets examine the intricacies of pulling it off in live rolling or competition. Some of these intricacies have been laid out in the “Sao Paulo approach to passing the guard” instructional series by “little” Tony Pacenski (soulfight.net). Tony is an awesome instructor under Rodrigo Medeiros (rodrigomedeirosbjj.com) (Carlson Gracie Team/BJJ Revolution). 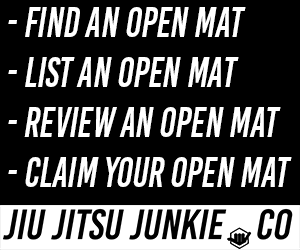 This original post was featured on The Jiu-Jitsu Laboratory with permission from the owner.